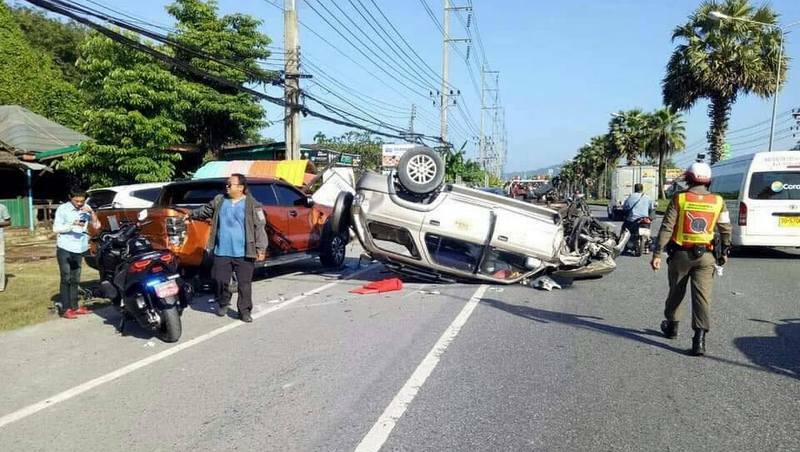 PHUKET: Four months after a Phuket airport taxi driver wiped out six cars and a motorbike, killing the motorbike driver in the process, while bringing a tourist from the airport, police still have yet to hand the case to the Phuket Public Prosecutor’s office to bring the charge to court. 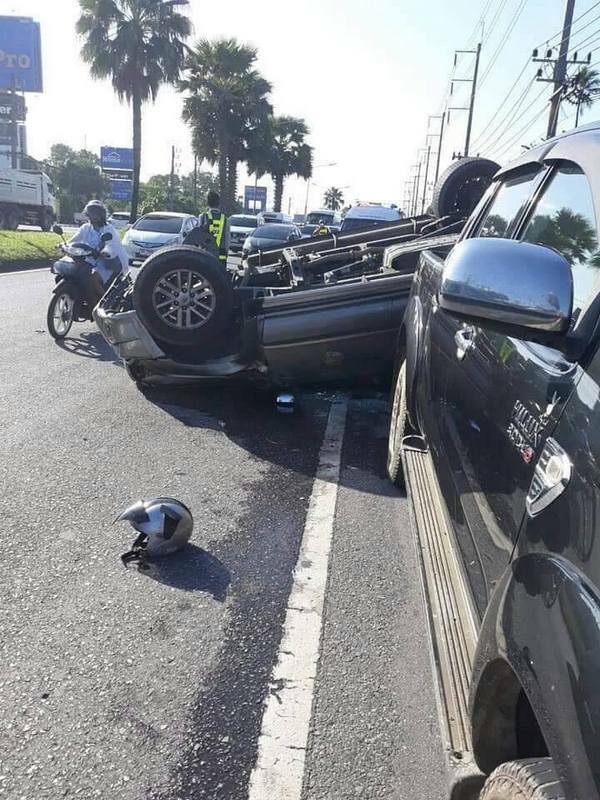 The investigating officer, Lt Col Supon Mueangkai of Thalang Police, told The Phuket News yesterday (Mar 1), "I have charged the taxi driver, Marut Puangsombat, with reckless driving causing death and damage to property. 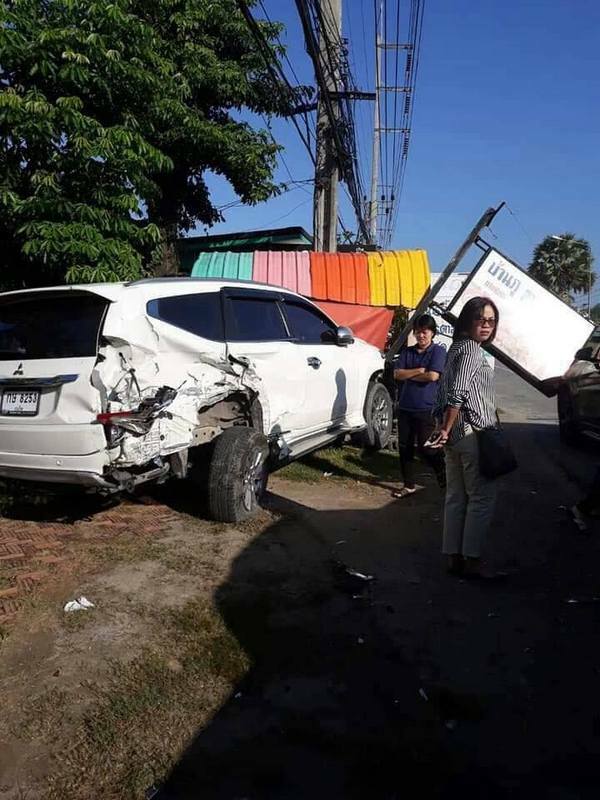 “I am still waiting to receive Mr Marut’s criminal record, after which I will send the case file to the public prosecutor to begin the court process,” Col Supon added. Asked about Marut’s current whereabouts, Col Supon said, “He is not being held in police custody, although he has been cooperative when called in for questioning,” leaving him free to continue operating as an airport taxi driver in the meantime. “The family of the late Mr Anuson have discussed compensation with Mr Marut twice so far, but have yet to reach an agreement,” Col Supon noted. 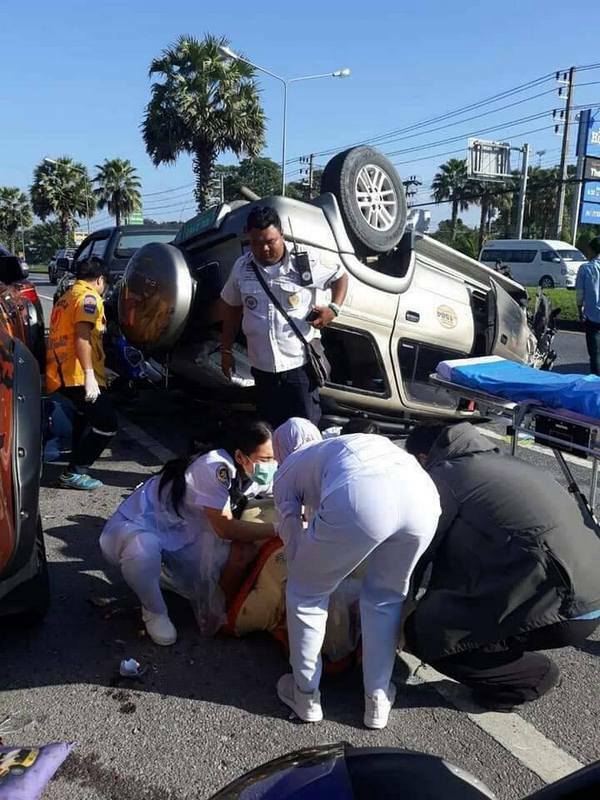 A tourist was in the taxi when the accident happened at 8am, Oct 30, but escaped unharmed, and immediately returned to the airport to leave. 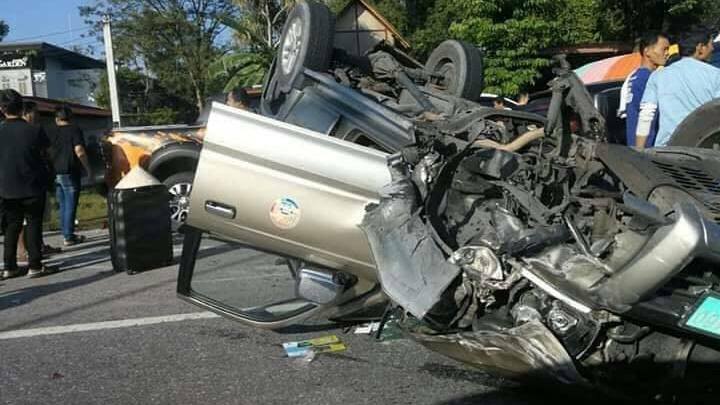 "A tourist was in the taxi when the accident happened at 8am, Oct 30," so, if I'm not mistaken, it has taken 4 months, still no criminal record, oh please,  pull the other leg,  Lt Col Supon Mueangkai is either incompetent, full of BS, a liar, or all 3. Waiting for a criminal record? What a nonsense, RTP should just forward this horrible tragic case to the Public Prosecutor. With just 1 finger tip on his computer the Prosecutor can see or this taxi driver has criminal record.. The past is not RTP concerns. Perhaps this 'kill-driver' has a father, brother or other family member working in that RTP station. Very smelly. Good on you PN for following up on the story. Keep it coming. Personally I'm disgusted not just that this guy is free but that he is still driving a taxi. He is responsible for peoples lives? How is his taxi license not suspended pending the outcome of the case? They're waiting for his criminal record? So if he doesn't have one then it's OK to kill people? Well, probably the reason that it takes such a long time that the taxi driver is still free as a bird and even working (!) is that the Authorities every time have sudden coming up important affairs to handle, like arresting, locking up, and deporting a french vaping woman. That take a lot of time and manpower. And they only can do 1 thing at the time. That is fair. Right?